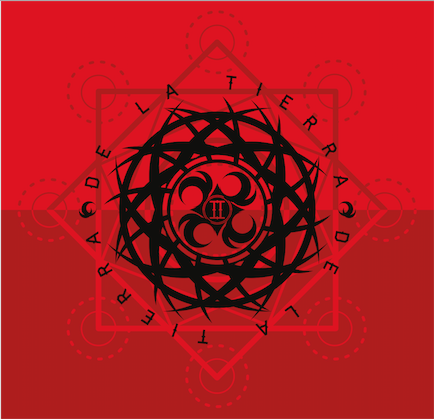 Latin American metal group, De La Tierra, has announced plans to release their long-awaited, 2nd studio album, II, on November 18th via Sony Music Latin. Fans can now pre-order the record at iTunes and http://smarturl.it/DeLaTierraAlbum. De La Tierra is comprised of some of Latin America’s most talented metal musicians, including Brazilian guitarist Andreas Kisser (Sepultura), Argentine singer/guitarist Andres Gimenez (A.N.I.M.A.L. ), Argentine bassist Sr. Flavio (Los Fabulosos Cadillacs) and Cuban/Mexican drummer Alex Gonzalez (Maná). Their upcoming record, II, follows the band’s 2014 self-titled debut which received rave reviews and support from critics and fans. Today, De La Tierra has partnered up with Billboard.com for an exclusive premiere of the upcoming record’s first new song, “Puro,” which can be streamed now at http://bit.ly/2fCwdhW. De La Tierra found massive success following the release of their debut album in 2014. The record allowed the band to tour and share the stage with bands like Metallica and Slipknot and perform at festivals such as Rock In Rio, Santiago Gets Louder and Vive Latino as well as gain a strong following of fans throughout North and South America. For their follow-up record, De La Tierra worked with renowned producer Ross Robinson (Slipknot, Korn, Deftones, The Cure, Sepultura) who helped the band craft a furious set of songs for one of the year’s most dynamic, heavy rock/metal albums. The band’s sophomore album was recorded with Robinson in Los Angeles where they laid down the music live to analog tape machines. Each of the band’s members has a unique, individual style that Robinson helped blend and balance with their influential roots for a rich music experience that transcends language barriers. Follow the band at https://www.facebook.com/delatierramusic for additional updates.